REDWOOD CITY, CA – January 31, 2017 – Electronic Arts Inc. (NASDAQ: EA) today announced preliminary financial results for its third fiscal quarter ended December 31, 2016. Digital net sales* of $2.861 billion for the trailing-twelve-month period represents 60% of total net sales, up 18% year-over-year. FIFA 17 was the best-selling console title in the world in 2016. Battlefield™ 1 was our biggest Battlefield launch ever and has a player base more than 50% larger than that of Battlefield 4™ through the end of Q3. To date, more than 10 million fans have played “The Journey”, the new single-player mode in FIFA 17. In Q3, average gameplay time per player in Star Wars™: Galaxy of Heroes reached a new high of 155 minutes per day. * Net sales is defined as the net amount of products and services sold digitally or sold-in physically in the period. Net cash provided by operating activities for the quarter was a record $1.115 billion. Trailing twelve month operating cash flow was also a record $1.372 billion. For the quarter, net revenue was $1.149 billion. Of the total net revenue 60%, or $685 million, was digital. 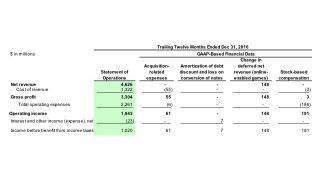 Diluted loss per share of $(0.00) was above guidance of $(0.17). EA repurchased 1.5 million shares in Q3 for $127 million. 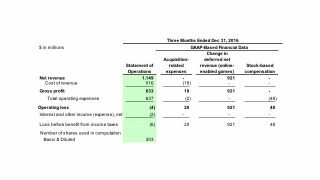 EA’s GAAP loss per share for the three months ended December 31, 2016 was calculated off the basic share count of 303 million. Had EA reported a profit, the diluted share count would have been 313 million shares. For additional information on the GAAP-based financial data, please refer to EA’s Form 10-Q for the quarter ended September 30, 2016. The following forward-looking statements reflect expectations as of January 31, 2017. Electronic Arts assumes no obligation to update these statements. Results may be materially different and are affected by many factors detailed in this release and in EA’s annual and quarterly SEC filings. Net revenue is expected to be approximately $4.800 billion. Change in deferred net revenue is expected to be approximately $125 million. Net income is expected to be approximately $914 million. Diluted earnings per share is expected to be approximately $2.91. Operating cash flow is expected to be approximately $1.35 billion. The Company estimates a share count of 314 million for purposes of calculating fiscal year 2017 diluted earnings per share. Net revenue is expected to be approximately $1.482 billion. Change in deferred net revenue is expected to be approximately $(407) million. Net income is expected to be approximately $513 million. Earnings per share is expected to be approximately $1.64. The Company estimates a share count of 313 million for purposes of calculating fourth quarter fiscal 2017 earnings per share. Electronic Arts will host a conference call on January 31, 2017 at 2:00 pm PT (5:00 pm ET) to review its results for the third quarter ended December 31, 2016 and its outlook for the future. During the course of the call, Electronic Arts may disclose material developments affecting its business and/or financial performance. Listeners may access the conference call live through the following dial-in number 844-215-4106 (domestic) or 918-534-8313 (international), using the password “EA” or via webcast at EA’s IR Website at http://ir.ea.com. EA has posted a slide presentation and a financial model of EA’s historical results on EA’s IR Website. EA will also post the prepared remarks and a transcript from the conference call on EA’s IR Website. A dial-in replay of the conference call will be available until February 13, 2017 at 855-859-2056 (domestic) or 404-537-3406 (international). An audio webcast replay of the conference call will be available for one year on EA’s IR Website. Some statements set forth in this release, including the information relating to EA’s fiscal 2017 expectations under the heading “Business Outlook as of January 31, 2017,” contain forward-looking statements that are subject to change. Statements including words such as “anticipate,” “believe,” “estimate” or “expect” and statements in the future tense are forward-looking statements. 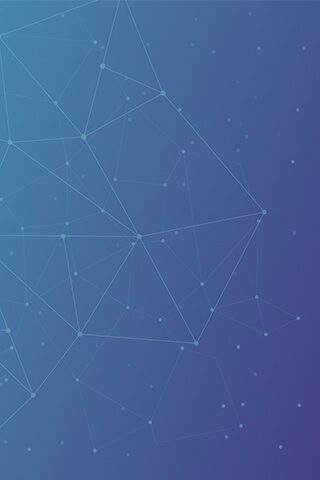 These forward-looking statements are preliminary estimates and expectations based on current information and are subject to business and economic risks and uncertainties that could cause actual events or actual future results to differ materially from the expectations set forth in the forward-looking statements. Some of the factors which could cause the Company’s results to differ materially from its expectations include the following: sales of the Company’s titles; the Company’s ability to manage expenses; the competition in the interactive entertainment industry; the effectiveness of the Company’s sales and marketing programs; timely development and release of Electronic Arts’ products; the Company’s ability to realize the anticipated benefits of acquisitions; the consumer demand for, and the availability of an adequate supply of console hardware units; the Company’s ability to predict consumer preferences among competing platforms; the Company’s ability to service and support digital product offerings, including managing online security; general economic conditions; and other factors described in the Company’s Quarterly Report on Form 10-Q for the fiscal quarter ended September 30, 2016. These forward-looking statements are current as of January 31, 2017. Electronic Arts assumes no obligation and does not intend to update these forward-looking statements. In addition, the preliminary financial results set forth in this release are estimates based on information currently available to Electronic Arts. 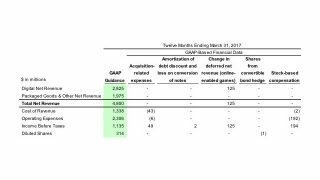 While Electronic Arts believes these estimates are meaningful, they could differ from the actual amounts that Electronic Arts ultimately reports in its Quarterly Report on Form 10-Q for the fiscal quarter ended December 31, 2016. 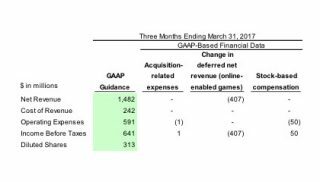 Electronic Arts assumes no obligation and does not intend to update these estimates prior to filing its Form 10-Q for the fiscal quarter ended December 31, 2016. EA SPORTS, Battlefield, Battlefield 4, The Sims, Dragon Age, and Plants vs. Zombies are trademarks of Electronic Arts Inc. STAR WARS © & TM 2015 Lucasfilm Ltd. All rights reserved. John Madden, NFLand FIFA are the property of their respective owners and used with permission.